May 14, 2013 - If you missed CBS's "Sunday Morning" program last week, you missed a report that should be required viewing for all Americans. And if you are one of those Americans who still question why Latinos in the Southwest are offended when they are treated like foreigners, someone needs to sit you in front of a computer and make you watch this video online. If there ever was a chapter of American history that needed a refresher course, this was it! That's because this particular chapter on the Mexican-American War has been so egregiously and conveniently forgotten that many Americans are forming opinions that are based on ignorance. 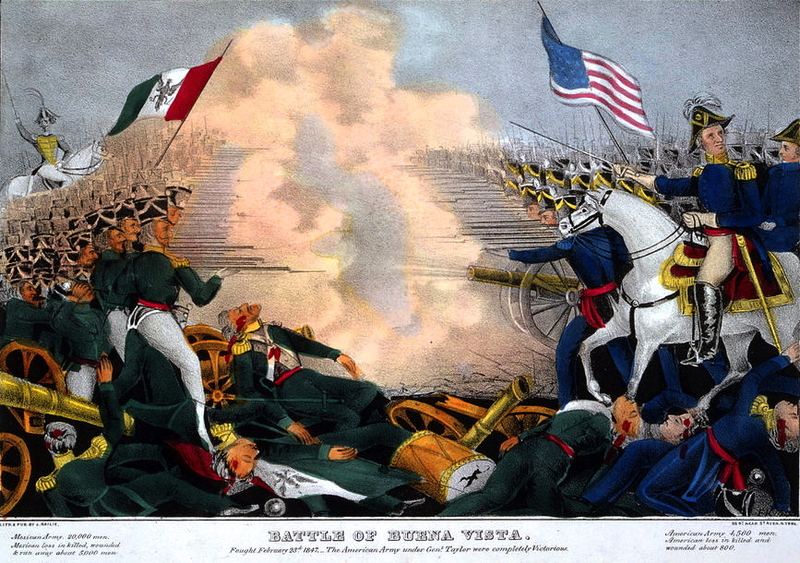 We still call it the Mexican-American War. But in Mexico, they still call it "The American Invasion." 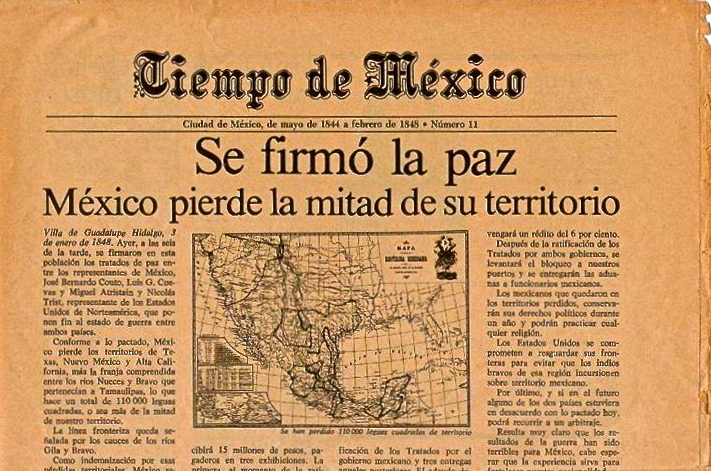 Some of us forget, and some never learned, that up to 165 years ago, most of the western United States belonged to Mexico, and that this territory was won in a war provoked by the United States to satisfy its thirst for territorial expansion. We forget that for many Latinos in the Southwest, it wasn't their ancestors who came to the U.S. It was the U.S. that invaded the land of their ancestors. For those who are unaware of this, making mistakes, and even offensive remarks, can be easy — especially when addressing Latinos who can trace their ancestry further back than Anglo-Saxons in certain parts of the country. It happened to me as I trekked across Arizona with community activist and Latino history buff Martin DeSoto last summer. "So you are telling me that your great-great-great-grandparents came from Mexico?" I asked naively. "Nooo," DeSoto replied. "When my great-great-great-grandparents lived here, this WAS Mexico!" Obviously, my friend DeSoto was the first person who came to my mind when I saw Mo Rocca's wonderful "Halls of Montezuma" report on CBS's "Sunday Morning." 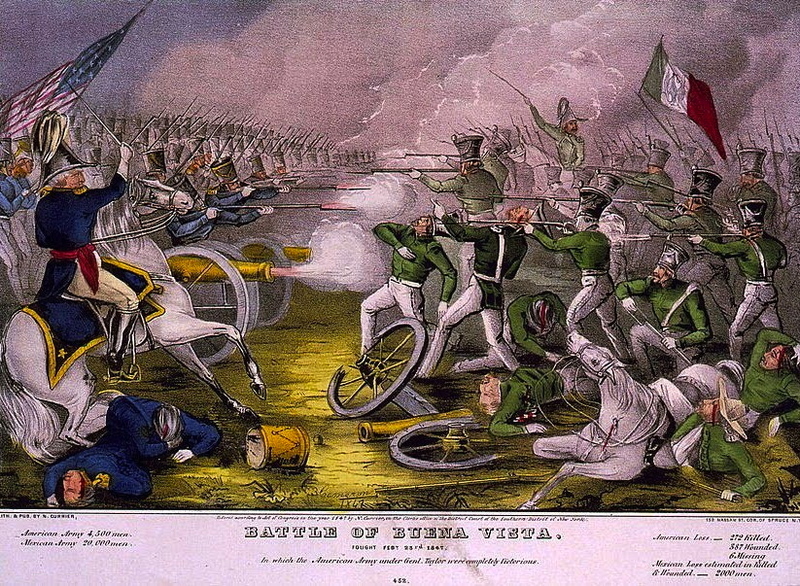 In less than eight minutes, Rocca examines the Mexican-American War in a way that surely would make most Americans better understand their Latino neighbors and their right to be in this country. Readers of my columns on Latino American history immediately called to tell me that Rocca was moving into my turf. But I was glad to see it. I call my series "Hidden Hispanic Heritage," and I welcome all who try to bring our history out of hiding! 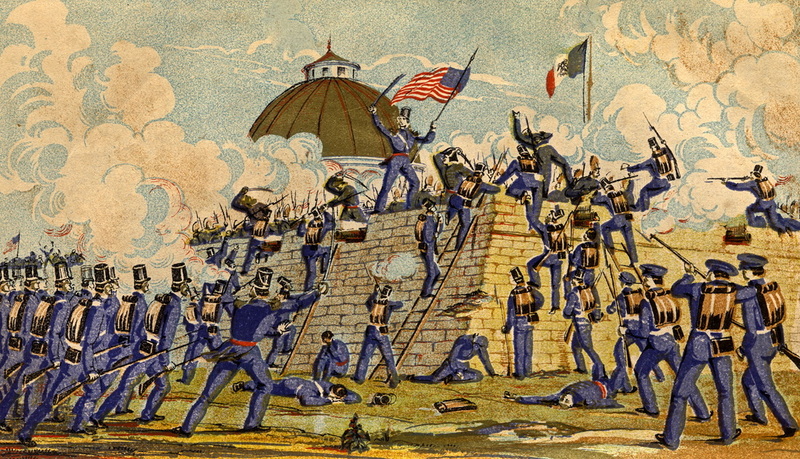 "A lot of people live in land that was taken from Mexico in this war, and they are not aware of that," Penn State historian Amy Greenberg tells Rocca. 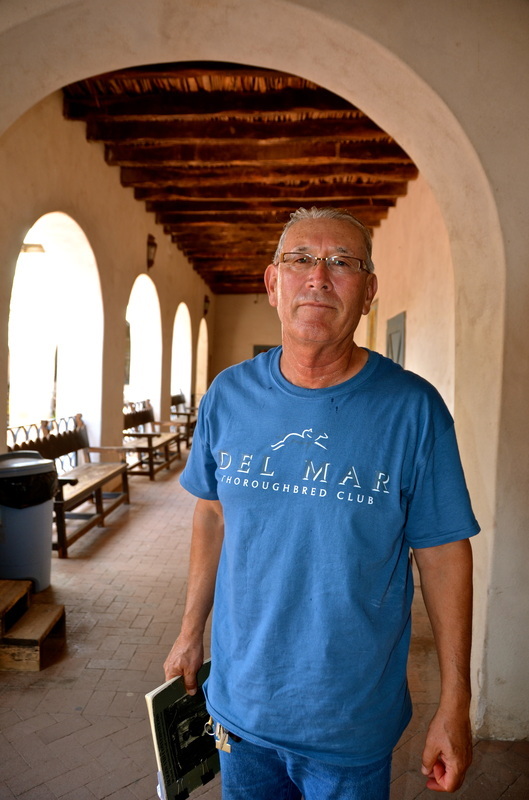 "I believe a lot of the immigration debate that's going on now operates in a vacuum, where people are not realizing that in fact Mexicans are here in lands that once belonged to Mexico." 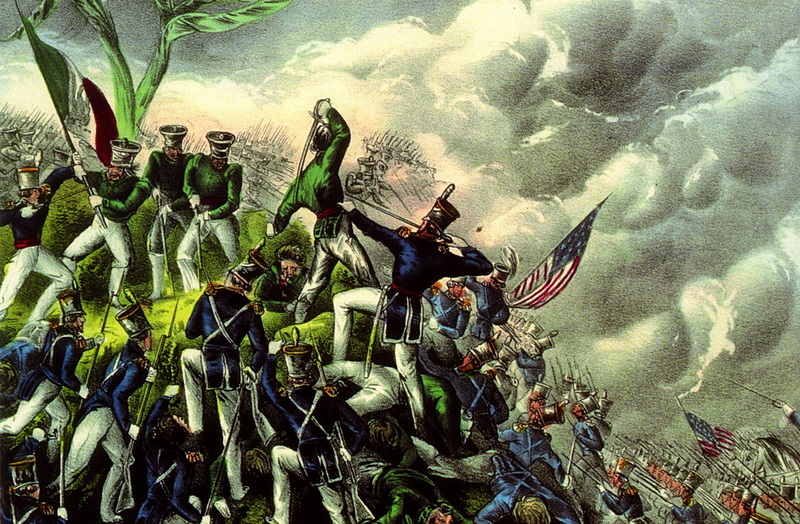 In Rocca's report and in her recent book, "A Wicked War," Greenberg explains how the Mexican-American War was engineered, provoked and manipulated by President James Polk, who believed that it was this country's "Manifest Destiny" to expand across the continent — even though a huge chunk of Mexico stood in the way. In the CBS report, historians on both sides of the current Mexican border explain how, after failing to convince Mexico to sell almost half of its territory, Polk bullied Mexico into a war based on greed and lies, instead of ideology and principles. They explain how "Manifest Destiny" was used as a rhetorical excuse to go to war with Mexico and how many prominent Americans, including two who went on to become U.S. presidents, were opposed to this war. 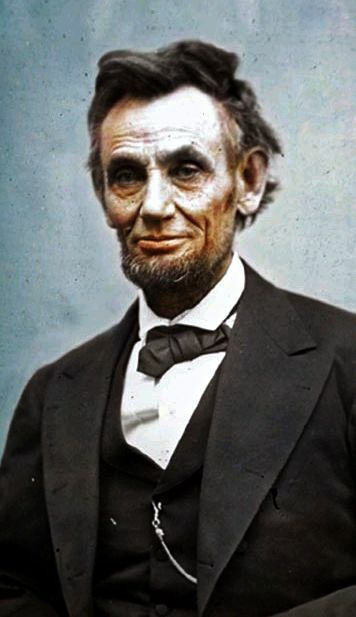 Before becoming president, Abraham Lincoln was part of a group of congressmen who questioned Polk's warmongering claims and stood against "a war unnecessarily and unconstitutionally begun by the president of the United States." And President Ulysses S. Grant, who served as a young army lieutenant in the 1846 to 1848 Mexican-American War, noted in 1879 that, although he lacked the moral courage to resign from his army post when he was a youngster, "I do not think there was ever a more wicked war than that waged by the United States on Mexico." In his 1885 Memoirs, Grant said he had been "bitterly opposed" to the annexation of Mexico and that he regarded the war as "one of the most unjust ever waged by a stronger against a weaker nation." He added that, "It was an instance of a republic following the bad example of European monarchies, in not considering justice in their desire to acquire additional territory." 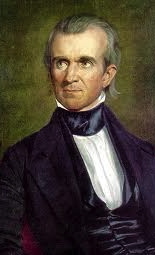 In fact, when the war ended in 1848, after the Mexicans suffered defeats all the way into Mexico City, Polk had realized the largest acquisition of U.S. territory. Under the Treaty of Guadalupe Hidalgo, for $15 million, Mexico was forced to give up its claim to a disputed portion of present day Texas and to the entire New Mexico and California territories. Of course, just like it's misleading to say that Juan Ponce de Leon discovered Florida when in fact he discovered the mainland that is now the United States, it's also misleading to say — as many people do — that Mexico lost New Mexico and California. 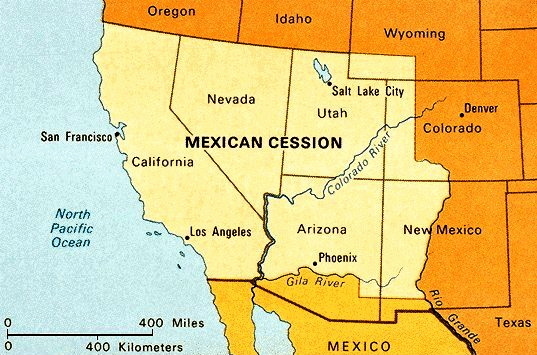 In fact, the territory Mexico lost encompassed present-day California, Nevada, New Mexico, Utah, most of Arizona and parts of Colorado and Wyoming. 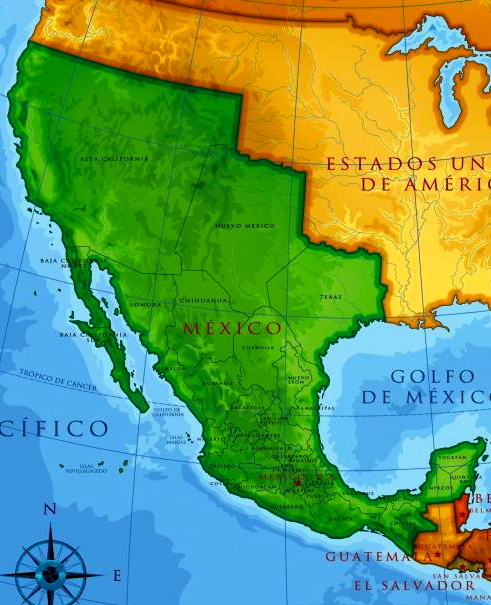 Mexico lost almost half of its territory and the United States grew by a third of its size. 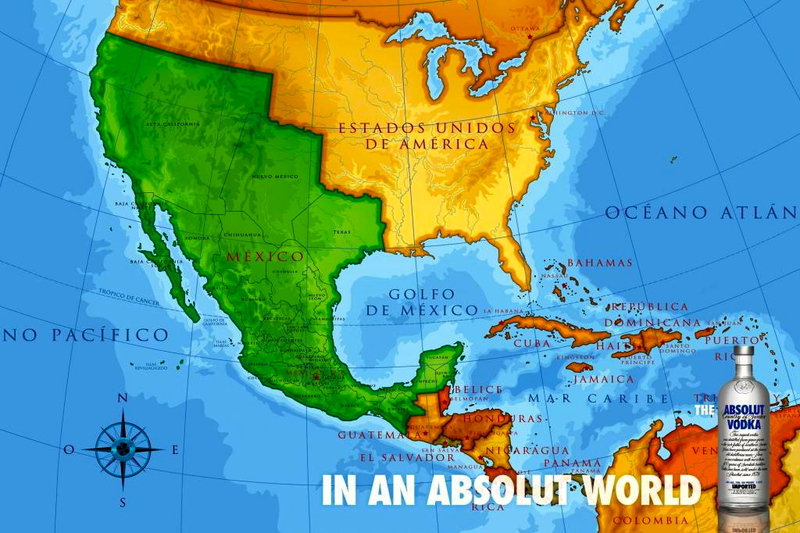 Yet in 2008, when Absolut Vodka used a map of old Mexico in an advertising campaign, instead of seen pre-1846 North America, many history-deprived Americans were outraged. Their xenophobia, based on their ignorance of their own history, made them believe Absolut was suggesting that Mexico should conquer the United States. 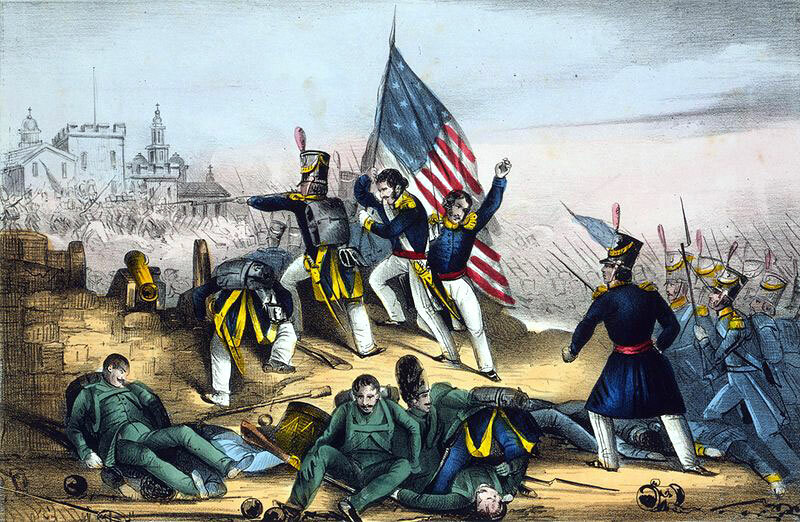 In fact, 165 years ago, it was the U.S. that conquered Mexico. Even though the CBS report corrected the misconception created by the Absolut ads, people who suffer from paranoid xenophobia are showing that they cannot be cured, even by a good history lesson. On the CBS web page featuring Rocca's report, some people are posting comments that show just how threatened they feel by a TV news report that simply establishes that many Latinos have very deep roots in the United States. They would clearly prefer to keep the Mexican-American War conveniently forgotten. Some claimed to "take offense" because the war was being mixed with the current immigration debate, as if bringing history into today's context wasn't exactly what a good journalist is supposed to do! Some tried to justify Polk's aggression, and one even thanked him for waging the war. One said that had the West coast remained under Mexican rule, today it would "reek of poverty." One asked when CBS became "a mouthpiece for La Raza." No one in Rocca's report suggested that Mexico is seeking the return of the land it lost in the war, yet some people hear what they want to hear. "We invaded, we won. It's ours now," commented another CBS viewer. "If Mexico wants it back, it better have an army big enough to take it back." One viewer obviously was so paranoid that he jumped to the conclusion that Rocca's report "implies that Mexicans are immigrating, not to become U.S. citizens, but instead to reclaim territory lost in a war. This implies that the motivation for immigration is revenge. They will never be loyal U.S. citizens." A report that should make most Americans better understand their Latino neighbors and their right to be here made this American conclude that he had "another argument against Mexican immigration amnesty." You can be in denial because you don't know your history. But when you have historians correcting your ignorance and you remain in denial, when you are offended by a report that uproots America's hidden Hispanic heritage, perhaps you should look in the mirror and have a sincere talk with yourself. And if you still see a bigot ranting and raving, who knows? Perhaps at least you will see how the rest of us see you. Martin DeSoto -- His ancestors didn't come to the United States. They were in old Mexico when the United States came to them.